Well here it goes! You asked for it, it’s time for me to share my supplement routine. This post has been a long time coming; I have been avoiding writing about it for fear that it would put too much importance on supplementation, something that is not my intention. As you can see in our pyramid of priorities it is at the very top. Also, I am conscious of the fact that prescribing supplementations is out of my scope of practice. But assuming that you have your nutrition dialled in, have been reading my blogs for a while and understand that there is no magic fairy dust out there, then there is no hurt in maximizing how good you feel. If you are focusing on food quality and quantity, getting 7-9 hours of sleep, taking your rest days, drinking plenty of water and eating a wide variety of fruits and vegetables, yet still aren’t feeling 100% on top of your game, you may wonder, “what else should I be doing”? And yes, at this stage supplements can be added to your routine to fill the gaps and support your health. As long as they are on top of a healthy diet and lifestyle. Before we go further, let me be clear that I am merely going to discuss what I personally use and why. I am not trying to promote anything; what is right for me may not be right for you and I have nothing invested in this. I am not an expert, but I did do my own research and through my own personal experimentation have landed here. Supplements are not cheap and should not be your first resort. There are a lot of basic things that you can do before shelling out money on supplements that will have a much bigger impact on your bottom line. Buying something to help you down-regulate and sleep isn’t going to help if you play video games or scroll through Instagram until 1am every night! Taking a superfood green powder can be good but eating vegetables is better. So back to me and a typical day in my life. I wake up around 6-6:30 am because sometime in my later years I became a morning person. Somewhere out there my mom is smiling over me about this, but it’s true, I naturally wake up around that time daily without the help of an alarm. Could be because I am in bed before ten, but I digress again. Following this and a good dose of puppy cuddles, I get on with my morning and make my breakfast. 80% of the time I train mid-mornings, meaning my breakfast is essentially my pre-workout. When I train I eat my “proats” because I love them, and why mess with a good thing? I call it “proats” because I boost my oats with lots of protein by cooking my oats with egg whites, and before you say “eww” and make a disgusted face, hold up! Not only do the egg whites add protein to my oats but they also add volume and a creaminess that I now can’t live without. I will post the recipe again at the end of this blog because you truly must try them if you love a warm bowl of oats. But back to my morning routine and supplements. While my oats cook on the stovetop I add a scoop of collagen to them. You can taste it, it blends right in. I also finish my water and take my vitamin D3, B-complex vitamin and a spoonful of my fish oil. I prefer to take a spoonful of liquid fish oil, as for some reason this means less burping up fish for me, but when I travel I use caps for convenience and my daughter prefers them because the oil is not appealing to her. Then it’s the morning commute of driving my daughter to school + either coaching clients or Crossfit classes in person or online nutrition coaching before I workout. On my way to the gym and during training I sip on my BCAA that I mix with my Creatine. The jury is out on BCAA and to be fair, given the time of the day that I train and the amount of protein that I eat, I most likely do not need it. But I like it; it tastes good, makes me drink more water and helps me down my creatine. So it’s a win-win for me. Post-training is when I have my whey protein isolate. Even though I am lactose intolerant I seem to be doing fine digesting mine. Whey protein isolate usually contains less than 1% lactose and I am fine with it, but better try it for yourself and experiment. Plant-based protein supplements are easy to find these days, but mine tastes da best and mixes so well with just plain cold water. Taste is a big thing to me. Depending on the intensity of my workout and when my next meal is coming, I will sometimes also add a carb supplement to my shaker cup. 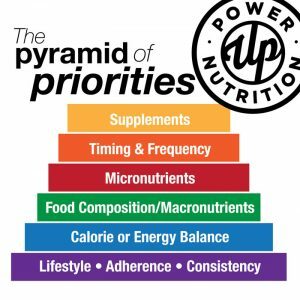 Why would I pick a supplement over food? Simply because it’s easier to grab in the morning. Also, often after a hard workout, the last thing on my mind is eating. This, however, doesn’t mean that my body doesn’t need it. Carb supplements with highly-branched cyclic dextrin are designed to enter your body quickly, feel light on the stomach and are easy to digest. I take this one: it’s completely tasteless so I mix it with protein + cold water. My go-to is key lime pie because it makes me feel like I am on a tropical vacation. Comes in handy to play pretend when you live in rainy Vancouver. Then back to my day, more food, more work, more chauffeuring my daughter, more food again. About an hour before bed every night I take 2 capsules of magnesium. Bed time is anywhere between 9 and 10pm at the most. I have no difficulty falling asleep, but in times of stress it can be difficult for me to stay asleep. I was recommended magnesium when I had post-concussion syndrome to help with my tight muscles and headaches. As a benefit it seems to have helped me find deeper sleep. It’s one of these supplements that I really notice when I am not on so I don’t ever skip it now. That is me in a nutshell. At times in the year when stress is high I add in an Adrenal support. And not daily, but many days I’ll take a vitamin C drink when I get in my sauna. I also always travel with digestive enzymes. I rely on them when eating out or if my digestion feels rotten for any reasons. It helps me if I come in contact with lactose unexpectedly, and just gives my digestion an overall boost. Collagen: Why collagen? As we age we start to lose our natural ability to repair. Hydrolyzed collagen has be shown to help the many repairing processes in our bodies, including your skin, nails and hair, but also bones, tendons and ligaments. There is even a connection to gut health. Plus it is a nice and easy way to add protein to your day. D3: I live in BC, need I say more? But in case I do, vitamin D is produced by the body when we are exposed to the sun, but most of us don’t spend enough time outside or get enough sun exposure. Also, we wear sunscreen (because wrinkles!) and that inhibits our natural ability to produce vitamin D. Vitamin D works with calcium to help bone density. It also helps your body reduce inflammation. Another must for athletes. Like all supplements I would recommend spending more for a higher quality brand and buying one that dissolves under your tongue for better absorption. B-complex: I had really low B-12 a few years back, I felt drained and inexplicably tired. Ended up having to do injections for a bit, then I completely forgot about it. But when I recently tested my DNA it was one of the red flags that came up for me. I turns out I am prone to not absorbing it as well. I added this to my daily routine since then and have felt a shift in my energy. B-vitamins increase energy production and improve your mood. They also help us detoxify, which we need after exercise. The process of building and repairing muscle (processing protein) depletes B-Vitamins so if you’re lifting heavy or damaging your muscle tissue in your workouts, it’s not a bad thing to add extra B-Vitamins. When taking vitamins absorption is the most important factor which is why I always recommend spending a little more on them. For B-complex, you want the active form; look for a methylated B-complex. Fish oil: Fish oil is one of the most commonly used supplements, and for good reason. The way I understand it, in our typical standard diet the ratio of omega 6 to omega 3 is largely off. Too much omega 6 leads to inflammation in the body. Inflammation is the root cause of most major diseases including cancer and heart disease. Omega 3 is a powerful anti-inflammatory that can help reduce inflammation and speed up your recovery. On top of this it is believed to boost your immune system, improve your cognitive function and help you manage your weight. You get Omega 3 in your diet by eating fatty fish like salmon, walnut, pumpkin seeds and leafy greens, but most of us are still not getting enough, which is why I would put that on your supplement list. BCAA: Now like I said earlier the jury is out on the efficacy of these. But their purpose in a nutshell is to promote protein synthesis and prevent protein breakdown. Why do we want this? To recover from muscle damage as you train. Taking them before your workout can reduce soreness and fatigue. From my research it seems that in the context of a good diet when you get plenty of protein, it is not needed. But like I said I love the taste of mine, and it contains electrolytes to help with hydration on very sweaty workouts. It helps me drink more water and I also put my creatine in the same cup, which helps me get it down since it doesn’t taste the best. In the end it may just be expensive flavoured water! The only person I would recommend to add this to their routine (other than people like me who enjoy the taste!) is someone who trains fasted, routinely early mornings. On these occasions, research was more positive and conclusive. Creatine: Creatine on the other hand has a ton of research to back it up and it’s efficacy. It’s probably the most effective performance supplement on the market. It is a safe way to increase muscle mass and strength levels, boost high-intensity work capacity, and improve body composition. Since high-intensity work capacity is key for Crossfit, I take this routinely. I started about 3 years ago and noticed a change right away. I take Blonyx myself because after testing a bunch, I always come back to this one for the taste, which is almost none, and how easy it blends. Some people notice an initial water gain when they first get on; it didn’t happen to me, but in most cases it is simply water retention and resolves itself on its own. Whey Protein Isolate: I almost didn’t put this one in there, since it is not really a supplement. To me, it’s just another convenient way to get my protein in. Easy, portable and also economic if you think of the cost of most other sources of protein. Personally, I prefer to eat real food in most instances but always use whey protein around my workouts for ease and convenience. Whey Isolate is fast digesting and easy to absorb, making it ideal for that post-workout recovery. Magnesium: My good sleep supplement. Magnesium is involved in many processes in the body and in my experience, most people would benefit from a supplement, athletes especially. I believe something like 80-85% of the population falls short. You get magnesium in your diet by eating bananas, leafy greens, nuts and seeds, legumes and whole grains, but it is easy to fall short. Vitamin C: Powerful antioxidants. Believe to help boost your immune system. Best taken post-workout. Adrenal Support: I take Nova3 Labs. There is a bunch of stuff in there, it helps me deal with stress. I took it the entire 5 weeks of the Crossfit Open and I always reach for it in demanding times. Now it is well beyond my scope to tell you why, so please read up on it if you are curious. Digestive Enzymes: Digestive enzymes promote healthy digestion and are helpful for anyone dealing with enzyme insufficiencies or food sensitivities. They help your digestive tract properly break down foods that contain difficult-to-digest proteins, fats and carbohydrates. Those enzymes are found naturally in the body, but at times the body is not able to make enough. A good add-on for people like me who are lactose intolerant. If you find yourself unusually gassy or with tummy woes, it is a natural way to help get relief. You can be sure I will be packing these babies to Italy in September when I plan on eating all the food! So there you have it. Over the years I have tried others and in time I may add to my routine, but this is it right now for this girl. As stated in the beginning, supplements are like the cherry on top of the sundae: nice to have, but not as important as the ice cream. You cannot out-supplement your way out of a poor diet and lifestyle. Before spending your hard earned dollars on bottles and pills, make sure you have spent time building a strong foundation first. Investing in quality matters. Most cheap supplements are synthetic and cannot be absorbed by the body. Don’t spend your money on expensive pee. The big box discount store is not where you should shop. 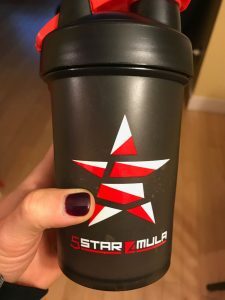 I order my BCAA, whey Isolate, Carb supplements and Magnesium online from a Canadian company called 5star4mula. You can find the link below and use our discount code POWERUP10 for 10% off your order. Locally, I like to visit Whole Foods, Body Energy Club or Vitasave. The latter two will also deliver right to my door. Before I wrap this up, as promised, my beloved “proats” recipe. Don’t knock it til you try it, I am seriously considering making some “Powered by Proats” shirts! Start with 1/2 cup of oats, 1/2 cup of egg whites + 1 cup of water on stove top over medium heat. If using collagen protein add in this step. Cook and stir on medium heat until oats are cooked. If you want to save time you can cook your oats in the microwave. Cook in 1 minutes increment to stop and stir. Takes 2-3 minutes depending on strength of microwave. In my opinion stove top yields best results. Optional-Add in 1/2 to 1 scoop of your favourite flavoured protein powder to sweetened your oats + add extra protein. Add after you cook your oats to prevent the protein from cooking and clumping. Top with fruits of your choice. Other great add ons: Nut butter, coconut,granola, maple syrup, jam. Macros: 27g carbs/3g fat/30g protein / For oats + eggs & collagen without any toppings. Variations: In step one you can add 1/2 mashed banana to bump up carbs for big training day or 1/4 cup canned unsweetened pumpkin puree + 1/2 tsp of pumpkin pie spice.